We are taking part in Mid Century modern show in Dulwich - more info from the organisers here. Tickets are £10 and can be purchased here. Great opportunity to see the Solstice Clock in action while the kickstarter campaign is live and its available to buy! 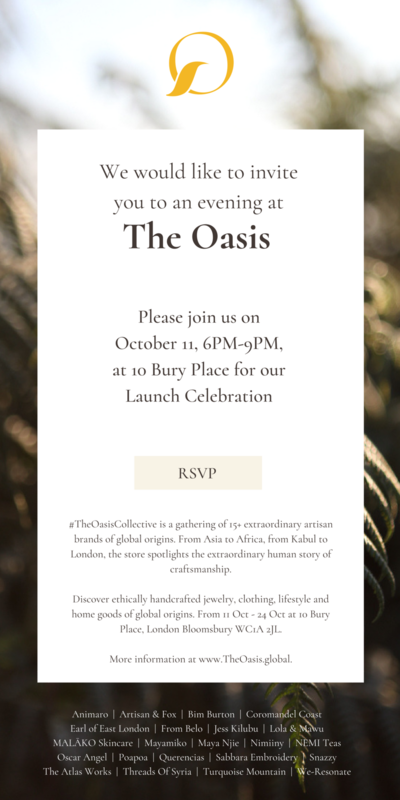 Join us for the opening of the Oasis Concept popup store launch. RSVP here. The store will be open from 10th to 24th October 10am-6.30pm. The Oasis is a pop-up concept store featuring 15+ artisan brands of global origins. From Asia to Africa, from Kabul to London, the store spotlights the extraordinary human story of craftsmanship. Discover jewellery, clothing, lifestyle and home good of global origins. We are taking part in the Oasis Concept store in Holborn London. The store is open 10am to 6.30pm every day. We will have a stand at the September edition of the London Artisan, come and say hello and see our new product range! Animaro is excited to be exhibiting at Pulse London 2018. Come and say hello! East London design studios Kobble and Animaro will launch their shared pop up shop at the Tea Rooms, Brick lane this weekend. They will be showcasing their new ranges of tables and lighting, which is handmade to order in their workshop in Bethnal Green. Kobble designs, makes and sells contemporary furniture which is customisable to the nearest cm in their online store. Made locally and and shipped nationwide, their focus is fusing craftsmanship with technology to create beautiful, but affordable, bespoke pieces. 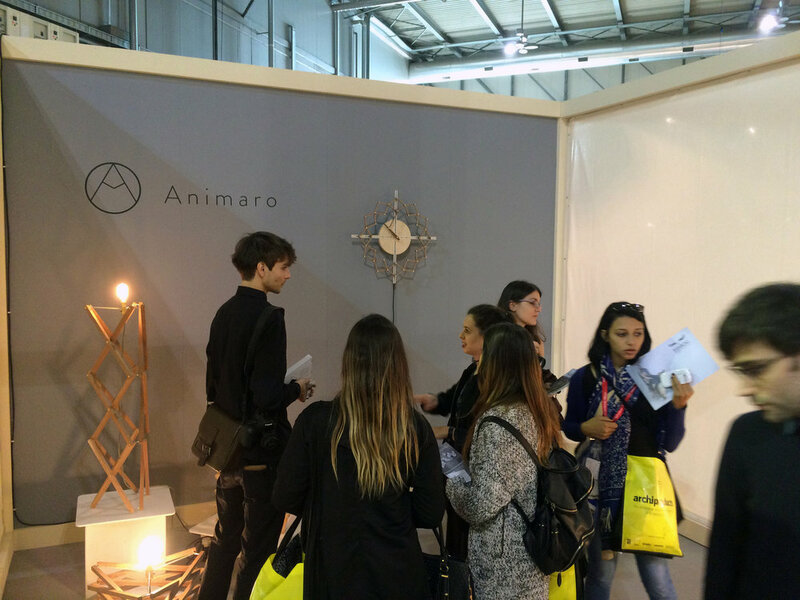 Animaro combines craftsmanship and engineering to create playful moving lighting for the home. Inspired by all things kinetic, they enjoy combining springs, bearings and anything that moves with beautiful materials to create furniture that appeals to the inventor in all of us. The pop up shop will be open 11am-6pm Saturdays and 10am-5pm on Sundays every weekend during February at the Tea Rooms on Bricklane. Come and see Animaro products at the Design Museum Xmas Market! I will be selling a limited number of products at the London Artisan Market at the Truman Brewery on 22/23rd july. Come to buy at pre-retail prices or just to say hi! I will be holding an open studio in Machines Room Wednesday July 19th 6-8.30pm. Come along to have a tour of the Crane Lamp manufacturing process (currently on Kickstarter) and see the finished product in the makerspace where it is produced. To schedule a one-to-one viewing outside of these hours contact me here. Crane Lamp is launching on kickstarter on July 5th! Subscribe below to keep updated about the launch. More information available using the link below. Thanks to Dunja Opalko for the great images. I was invited to exhibit the Puzzle Chair at the Salone Satellite 20 Years of New Creativity. New Product Launch event at La Rinascente, Milan. On 18th May I held a lamp making workshop at Machines room on Vyner Street. The workshop was to teach how to make a very simple version of the 'Crane lamp' using lasercut sticks and fixings from Screwfix. The base was made using a London stock brick. On 31st March I had a small exhibtion of my works, as a pre-cursor to exhibiting in Milan.